Finding sticky fingered dummies in your handbag is a common occurrence as a mummy, and try as we might to make our handbags our own they soon become taken over by the plethora of stuff that these mini human beings seem to collate. 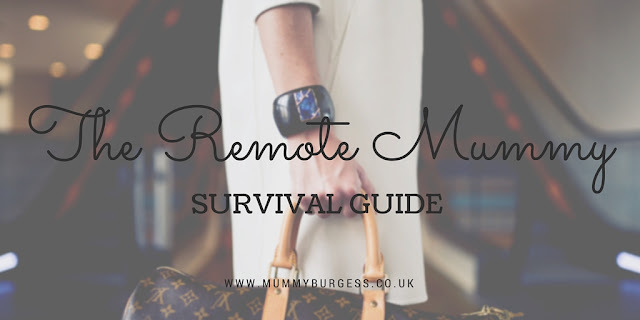 But to save yourself from getting a little ‘What’s in my Bag’ envy from the many lifestyle bloggers who only have to carry around the latest YSL Lipstick and a Contouring Kit, you can get back a little bit more of your own space – even if it is in handbag form- with a few of these handy hints to keep venturing out as a mum as glamorous as possible. It may be tempting to just chuck everything into your own handbag, but apart from overloading your favourite bag that’s probably cost you more than a fancy meal out, it can also be unsanitary for any of the little one’s dummies or cutlery. There are a significant number of germs that harbour in our handbags without us even realising, so for their health and your sanity, keep your own bag and the children’s completely separate. Investing in an organised bag that can hold everything you need in the case of emergencies, and leaving your handbag to solo trips out can help ensure that all the essentials are kept in one tidy organised placed, and your favourite leather Louis Vuitton doesn’t end up covered in bodily fluids. And don’t worry your children’s necessities bag doesn’t have to ruin your outfit, there are now some smart baby bags that can make your job as children’s butler look far more fashionable, these 10 baby bags cover the practical and parent friendly options that won’t make you want to hide in public. We all know that it feels like we have to empty the bathroom cabinet when we leave the house with a little one. But we don’t have to be weighed down by products. Taking the time to decant essential medicines, nappy rash creams and everything else they need, can ensure that when we do leave the house we’re not carrying a pharmaceutical rucksack. Small empty bottles can be found in many shops now and you’ll find it far less stressful to grab-and-go when you know that the smaller bottles are already organised and packed in their bag. Our phones are notoriously good at running out of battery when we need them the most. But when you have children in tow this isn’t a case of panic because you can’t check Facebook, it can be the end of the entertainment that kept them quiet during your lunch date, or your call home gone in an instant. Travelling with your charger to hand is an option, but investing in a power bank such as these can ensure that you’re never without your lifeline, even when tantrums strike. The endless wants and needs of the little ones can soon add up when you’re out and about, especially when the hunger monster arrives to turn them against you. So rather than over spend on sugar filled snacks that only encourage the drama, go out prepared with healthy snacks at the ready to combat their every whim. Even making your own treats from scratch with the children can help you to manage their sugar intake and feel more confident that they’re going to eat something that’s good for them, rather than packed full of nondescript ingredients. Simply follow a healthy snack recipe tutorial and you’ll be cutting costs and hunger all at once. Being a remote mummy is most definitely a survival task, especially if you’re on your own. But with a little preparation and planning, you can get up and go on an adventure with your little one at the drop of a hat.